There are lots of things to do at Surfers Paradise and it's the best place to be during the school holidays. 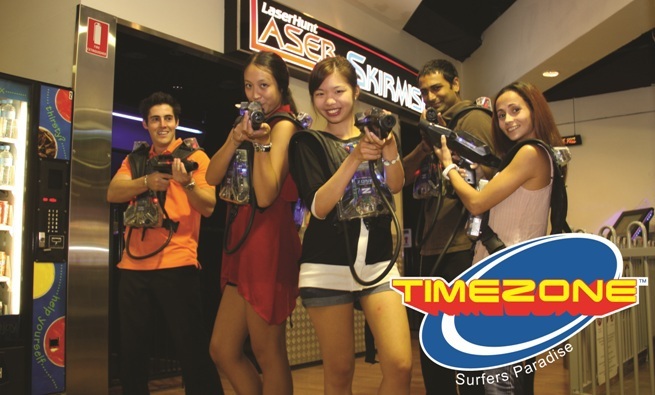 Whether you live around the area, holidaying on the cost, or here for a day, here are some of the best activities you should put on the list..
Timezone Surfers Paradise is perfect for those who want to escape the heat, but still be active. Be prepared to spend a couple of hours here because your kids won't want to leave. There's simply too much to do here. There's laser skirmish, 18-hole mini golf course and a mini six-lane bowling alley. When you need an ice cream break head downstairs to Ben & Jerry's or stop by The Coffee Club, Hard Rock Cafe, or Toscani's Bar & Restaurant for a yummy meal. Of course there are heaps of other vendors close to Timezone that will satisfy your appetite. When you've refuelled and re-energised, head back upstairs to enjoy an abundance of the best interactive games. I remember going to Infinity with a couple of friends a few years ago and really enjoyed it. It really is a spellbinding experience, let me assure you. 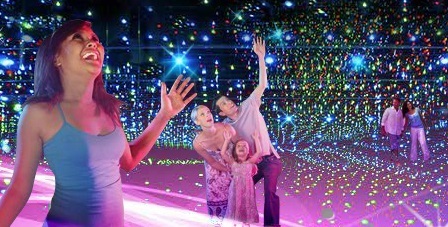 Explore your way through a maze filled with special effects, atmospheric sound fields and illusions. It's a 40-minute journey into 20 multi sensual environments that are futuristic and mind blowing. Laugh like a drain, scream your head off and experience emotions like you've never felt before. This is absolutely amazing and heaps of fun for all ages. Dracula's Haunted House is not for the faint-hearted. 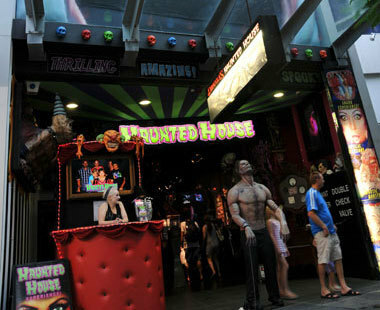 This five-story house of horrors is frighteningly fun, family friendly and fantastic for children of all ages. Expect lunging corpses, giant spiders, creatures, creepy ghosts, and many other things that will make you scream your lungs out. There's a different theme on every level guaranteed to freak you out with one thrill after another featuring optical illusions, special FX and lots of scary stuff. Make your very own stuffed animal at Build a Bear Workshop. Choose from over 30 animals including teddies, bunnies, dogs, cats and heaps more. Pick a favourite animal to be your new best friend to start with before adding a heartbeat. You can even record a message if you want. Whatever you do, don't forget to give it some special wishes. Now your animal is ready to be stuffed. So add the stuffing, name your furry friend, and dress it in something fashionable. Remember to name it and there'll be a birth certificate to take home along with your new bestie. You'll have a beary good time indeed! Putt putt is always fun no matter how old you are. 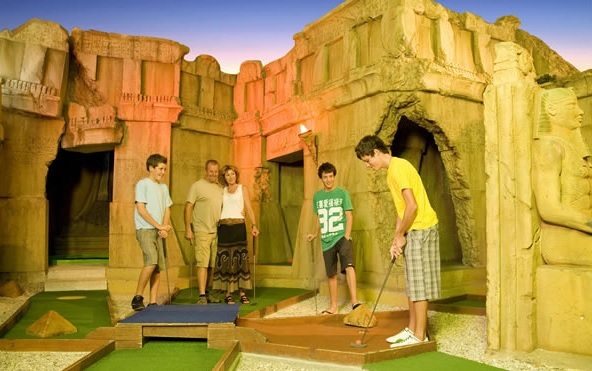 King Tutt's Putt Putt provides a unique experience for every member of the family. You can challenge your friends to a serious competition, or simply enjoy some family fun. With three 18-hole mini golf courses, this is one mini golfing extravaganza you don't want to miss. Each course has a different theme and caters for all ages and abilities. The Ancient Egypt course features awesome glow in the dark caves and is perfect for beginners. 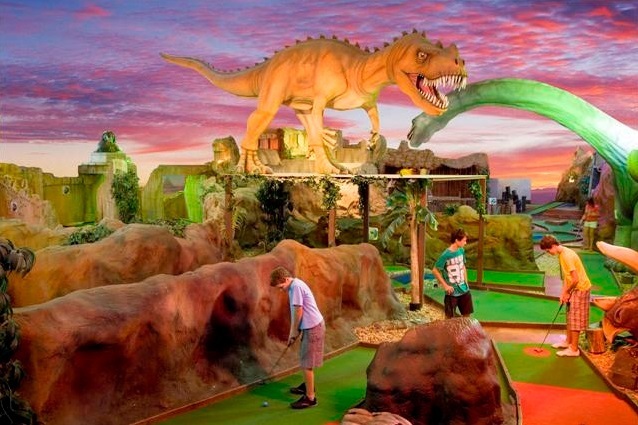 If you're an intermediate mini golfer, then try the Jurrasic Course. Just be careful of the dangerous raptors wandering around. And those with extraordinary golfing skills should have a go at Tutt's Challenge. Have a go at one, or play all three, just as long as you're having fun. I would love to see some ideas for teenagers on the coast that are free. Particularly on the northern end of the coast.